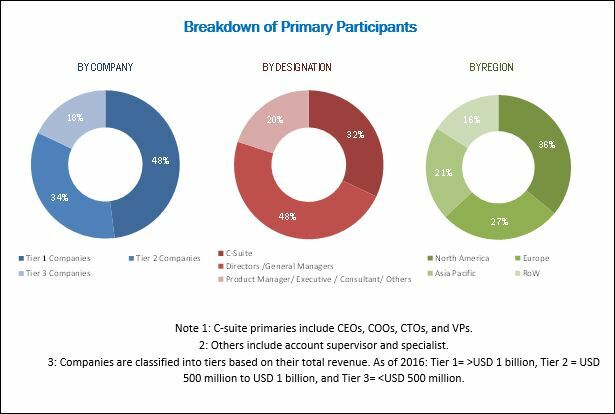 [92 Pages Report] The oncology nutrition market was valued at USD 1.34 Billion in 2017 and is expected to reach USD 2.21 Billion by 2023, at a CAGR of 8.7% during the forecast period. Factors such as the development of elemental formulas and product innovation in terms of non-GMO-based formulas present significant opportunities for the growth of oncology-based nutrition formulas. The global oncology nutrition market is expected to reach USD 2.21 Billion by 2023 from USD 1.46 Billion in 2018, at a CAGR of 8.7%. Factors such as shifting focus from parenteral to enteral nutrition, increasing incidence of cancer, growing demand for nutritional feeding in the homecare sector, rising number of patients being treated for malnutrition, and increasing quality of clinical research on nutritional interventions are driving the market growth. 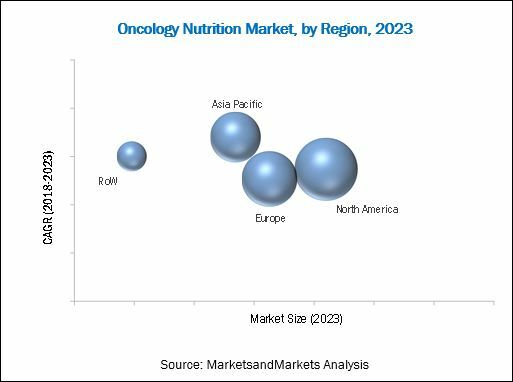 Geographically, the oncology nutrition market is segmented into North America, Europe, Asia Pacific, and the Rest of the World. In 2017, North America accounted for the largest share of this market. However, the Asia Pacific region is expected to witness the highest CAGR during the forecast period of 2018 to 2023. The growth of this segment can be attributed to the increased awareness and accessibility to advanced healthcare facilities, rising healthcare spending, large population base, and rapid improvements in the health insurance sector.